Description: "They say that all drug dealers eventually get caught. But I’m proof they don’t. I’m not what you’d think. I’m not in a gang and I've never killed anybody. My business was as straightforward as any other: I bring the product, you bring the cash, we make the exchange, and voila. It went like this 99% of the time. 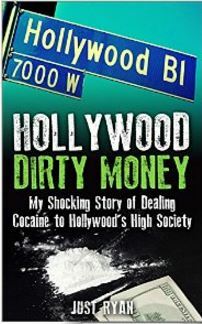 Being a mid-level cocaine dealer in Hollywood, California, I bypassed a lot of the dirt and negativity associated with drug use and dealing. Coke is, after all, a rich man’s drug. Businessmen, actors, singers, music executives, and big shot movie producers made up most of my clientele. I promised myself that I would make as much money as I could– in six months. After six months I’m out. In that .5 a year I made a bundle of cash, experienced places and situations I never would have otherwise, rubbed shoulders (and railed lines) with Hollywood big shots, and became the source of the party for some A-list celebrities. Some of it may seem unbelievable; some of it will seem outright stupid… For what it’s worth, I assure you it’s all true, to the best of my recollection." 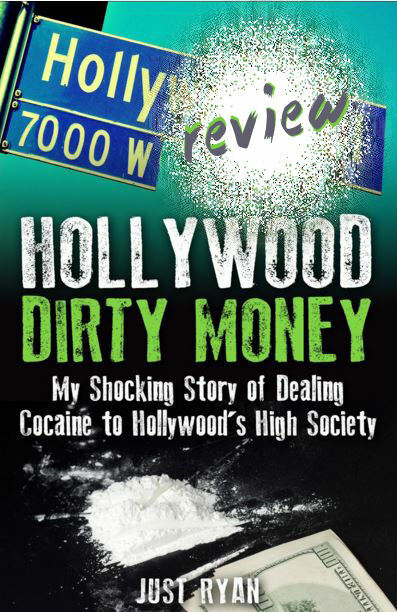 This entry was posted in Book Reviews, Kindle Downloads and tagged Biographies, crime downloads for kindle, Hollywood, Hollywood Dirty Money, hollywood dirty money download, hollywood dirty money review, Just Ryan, kindle downloads, Real Life, True Crime, true crime kindle.